I have always been inspired by the colors and textures of food. 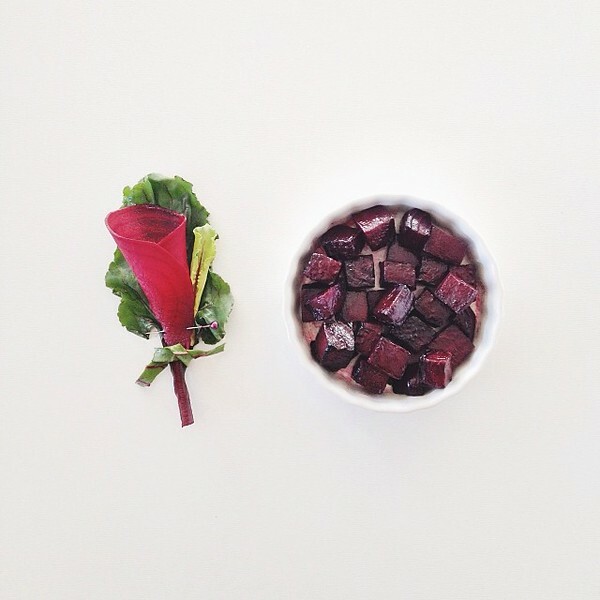 The Food Boutonnière series is a collection of meals I've prepared and cooked. I then take the raw ingredients of each dish to make a boutonnière. 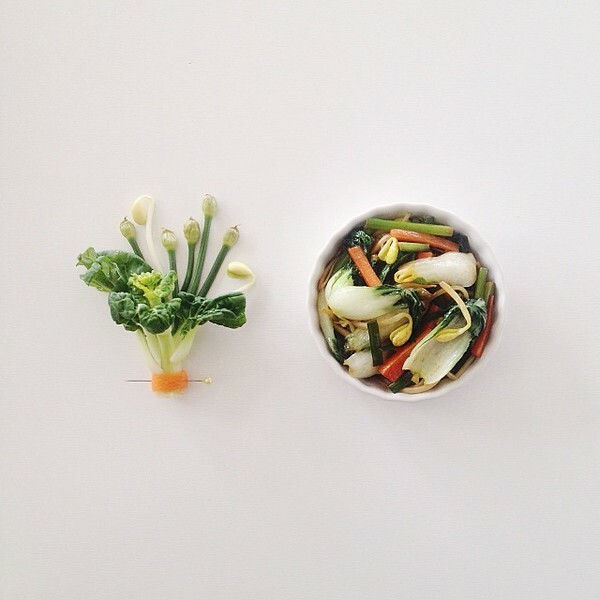 Chinese stir-fried vegetables made with bok choy, Chinese leeks, carrots and bean sprouts. 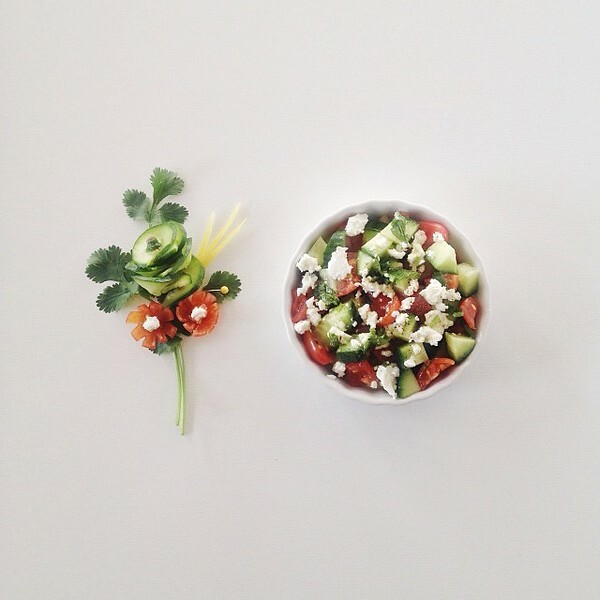 Cucumber and tomato salad with feta cheese, cilantro and a squeeze of lemon juice. Roasted beets. The greens are the leaves from the beets. 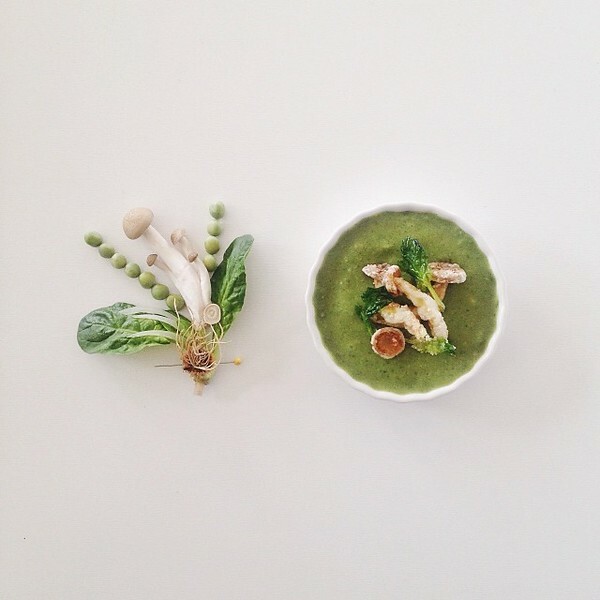 Pea and spinach soup topped with fried bunashimeji mushrooms. 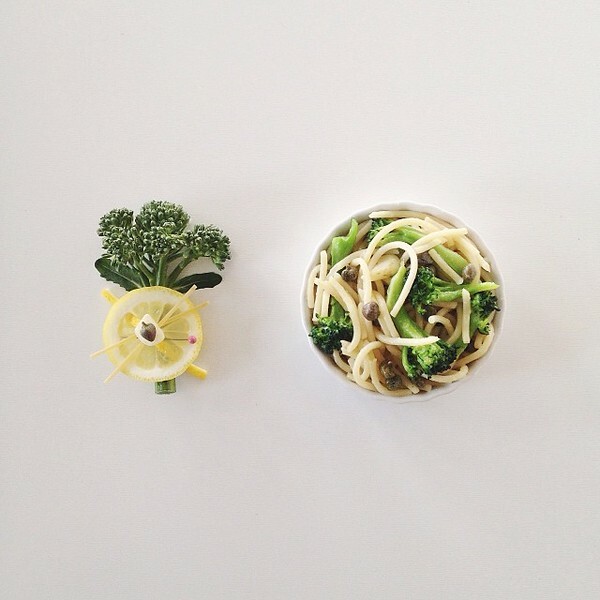 Spaghetti with broccolini, garlic, capers and a squeeze of lemon juice. 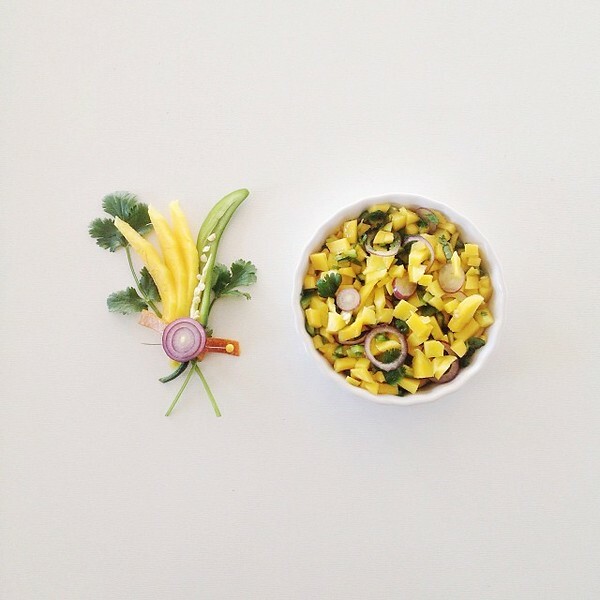 Mango salsa with jalapeño, purple pearl onion and cilantro.